“Yes! To Affordable Groceries” registered as a ballot committee this week. 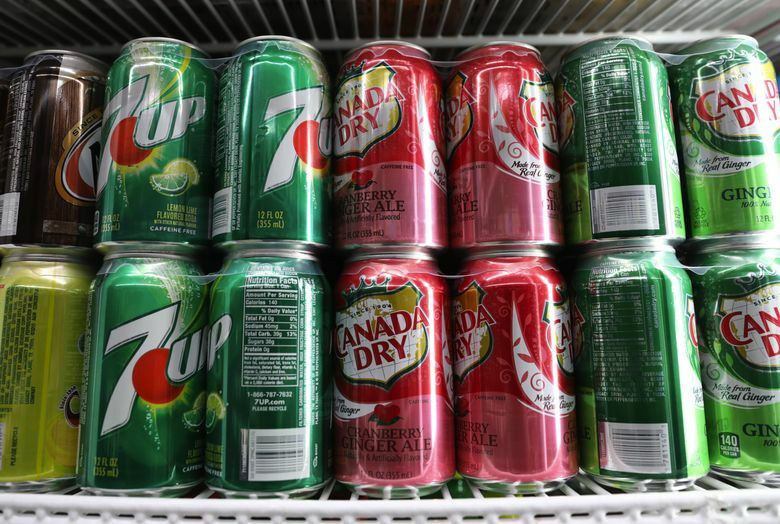 Seattle’s 1.75-cents-per-ounce soda tax took effect Jan. 1. “Yes! To Affordable Groceries” registered as a ballot committee Monday with the Washington State Public Disclosure Commission. The committee is sponsored by the American Beverage Association and supported by organizations including the Korean American Grocers Association, Washington Food Industry Association, Washington Farm Bureau and Joint Council of Teamsters, said Jim Desler, a spokesman. “This is the first step in a process to explore a statewide ballot measure that will keep groceries affordable and free of new local taxes,” Desler said in an email. A flyer from the committee warns about measures like Seattle’s tax on sweetened beverages spreading to other communities and other products. “Pro-tax advocates are pushing for special taxes on basic foods they dislike, such as meat,” the flyer claims. The committee won’t try to roll back Seattle’s 1.75-cents-per-ounce tax on the distribution of beverages such as sodas, sports drinks and energy drinks, which took effect Jan. 1. Then-Mayor Ed Murray proposed Seattle’s tax in February 2017 and the City Council adopted it in June — exempting diet sodas and drinks with milk as their primary ingredient, including lattes supercharged with sweet syrups. Proponents said the tax would discourage people from buying sugary drinks, which have been linked to type 2 diabetes, hypertension, heart disease and tooth decay. Nutrition and education programs are set to receive money from the tax, which is expected to raise about $15 million in its first year. In a statement Wednesday, a spokesman for the Seattle Healthy Kids Coalition, which advocated for Seattle’s tax, blasted the “Yes! To Affordable Groceries” push. “The soda industry should be investing their energy in developing healthier and affordable beverage options for consumers, not taking away the rights of Washington residents to develop badly needed investments in our communities,” said the spokesman, Aaron Pickus.